Christmas cocktails with Ebookers - What's Katie Doing? 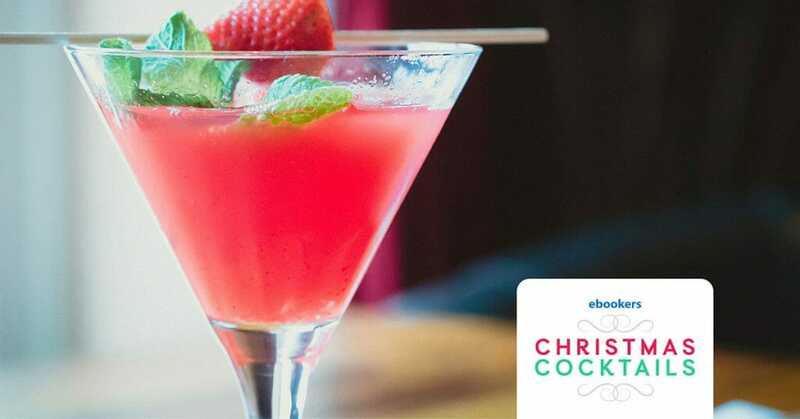 Homemade cocktails are set to be a big trend this Christmas and travel site ebookers have focused on this to bring you the Christmas cocktail tool. 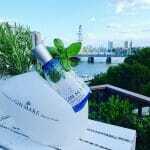 Not only is gin – a spirit close to my heart – trending massively, with Sainsbury’s reporting £1m spent on it, but cocktails are back in fashion too. Just imagine all the gin and tonics, martinis, negronis, gin flips, fizzes and gimlets! Also a study by Equimedia shows that the most online searches for cocktails recipes are done on Christmas day and New Years Eve. Christmas drinks have become a key part of celebrating the festive season and with so many new variations being experimented with, there’s a cocktail to suit everyone. So what’s the Christmas cocktail tool? 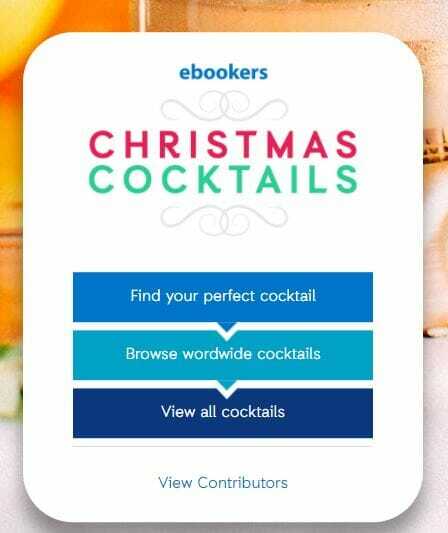 So make sure you are ready for the festive season and check out the various Christmas cocktails that Ebookers have developed in their interactive tool. The tool’s questions allow it to find the perfect cocktail for your personality and taste this Christmas. Just click on the ‘Find your perfect cocktail‘ button. What recipes can I find? 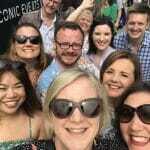 12 of the UK’s most influential mixologists, recipe developers and lifestyle, food & drink bloggers have contributed recipes. With over 60 cocktails – including vegan and non-alcoholic options – there’s something to suit every taste. The selection offers a few of the classics, along with a range of experimental and distinctly festive flavours. 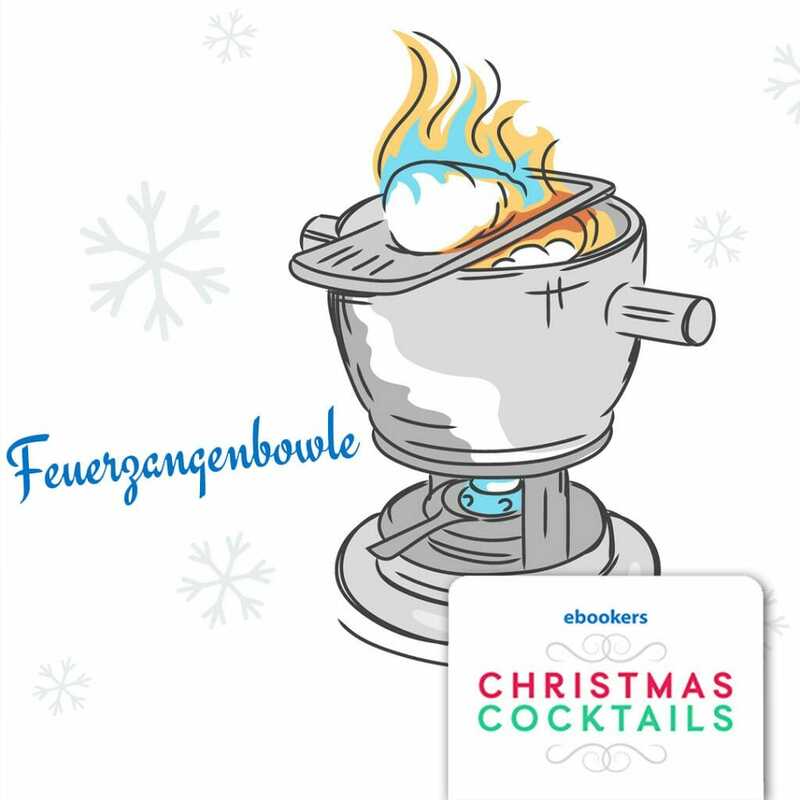 Such as the Gingerbread Man Martini or for the more experienced mixers, the blazing Feuerzangenbowle from Germany. Alternatively cocktails can be searched for by location using an interactive map. 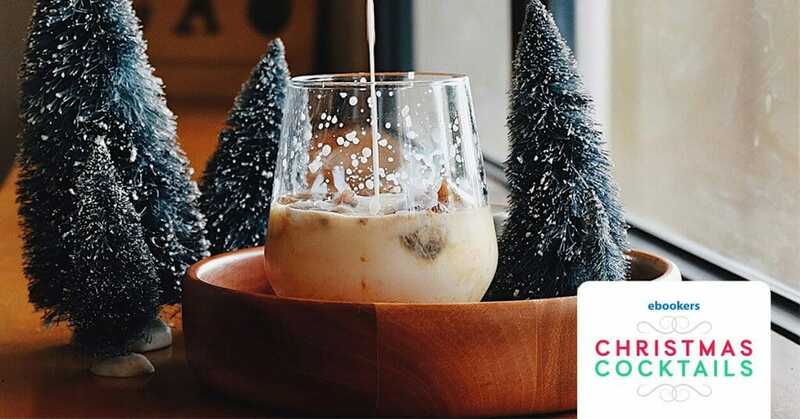 Find out the different ways Christmas is celebrated with different drinks from around the world. The tool features cocktails from over 20 countries across the globe. From Mexico’s Ponche Navideño to New Zealand’s Feijoa Spritz, with all the warmer tipples in between! So what are you waiting for? 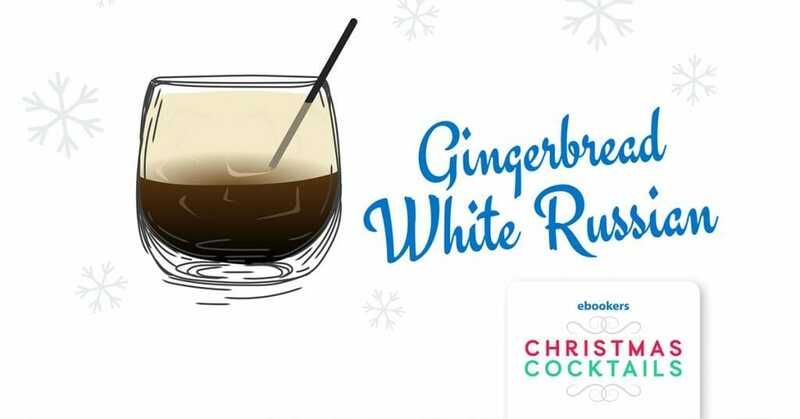 Take the test and find your Christmas cocktail with ebookers! Pin me for cocktail inspiration later! 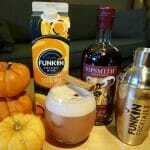 For more recipes with a gin focus, check out my festive drink post from last year. I think it sounds slightly dangerous lol!